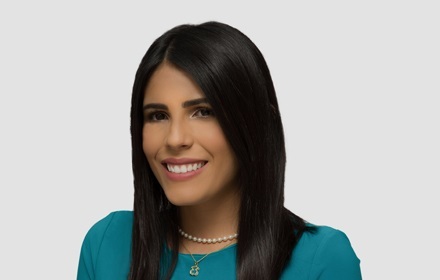 Karla Carrillo-Russe is an Associate in the San Juan, Puerto Rico office of Jackson Lewis P.C. Her practice focuses in litigating employment matters before state courts as well as providing clients with preventive advice and counseling. Ms. Carrillo-Russe advises and represents clients in a broad range of employment matters, including claims of discrimination, retaliation, wrongful termination, reasonable accommodation issues, retaliation, and wage and hour claims, among others. Prior to joining Jackson Lewis, and while attending law school, Ms. Carrillo-Russe worked as a Law Clerk in a Puerto Rico-based law firm where she acquired practical experience and exposure to substantive and procedural aspects of labor and employment law including motion practice, unfair proceedings, employment-based green cards, and U.S. work visa procedures. While attending law school, Ms. Carrillo-Russe also clerked for the Honorable Olga García Vincenty in the Court of First Instance of San Juan where she provided support in courtroom proceedings and drafted opinions, orders and memorandums of law.